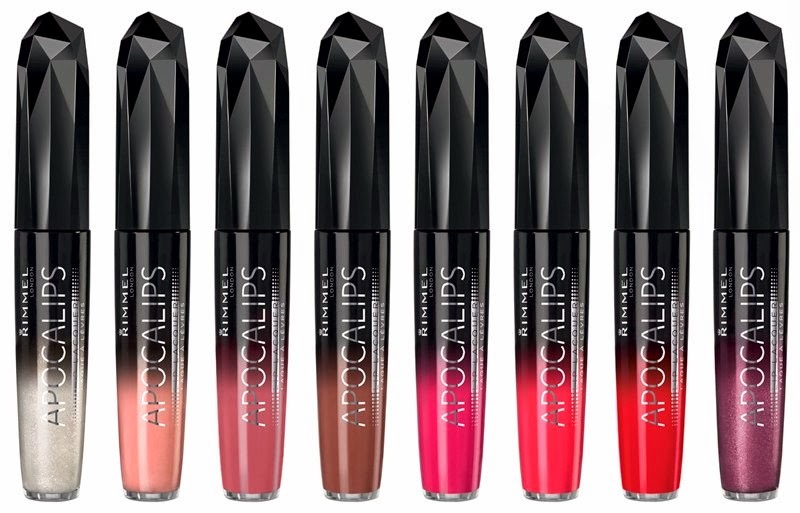 Rimmel Apocalips Lip Lacquer - $8.99 - in 12 shades: 100 Phenomenal, 101 Celestial, 102 Nova, 201 Solstice, 300 Out of This World, 301 Galaxy, 303 Apocaliptic, 400 Big Bang, 401 Aurora, 501 Stellar, 502 Light Year, 701 Stargazer - with pure colour pigments and a creamy, conditioning formula that offers colour, shine and comfort with real lasting power! Unlike some cream lipsticks which I find start to feel dry and tight on the lips, this Rimmel one is very hydrating and not only did the colour last for ages but so did the moisture! I've seen these recently in stores and am glad we have them in Canada. My favourite colour from the collection is Apocaliptic. I'm now even more tempted as the tried- on actual colour looks so good.